You have worked long and hard to get your pride and joy rebuilt. The paint is buttery smooth, the engine purrs like a kitten, and the interior smells of fresh carpet and leather. You stand back, enjoying her beauty. It’s time to go for a cruise. Roll down the windows, pull out on the freeway and enjoy! A few miles down the road, you think, “Hey, a little music would make this even better. Some of the classics! 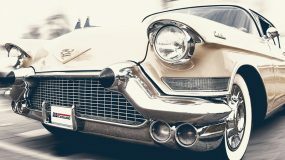 That’s what I need.” You turn on the radio, only to hear static engulfing your favorite radio station and tinny sound from an old paper speaker of your classic car audio system, mounted in the center of the dash. And you were so close to perfection! Don’t fret – there are hundreds of expert mobile enhancement retailers around the country who can add a little music to your ride without messing with the look of the interior or affecting the value of the car. From a numbers-matching restoration to a junktastic rat rod or the car you had back in high school – adding modern features and great sound isn’t as hard as you think. Need plenty of volume for windows-down cruising? Let your salesperson know. Before you go shopping, do some research. Google what other people have done with similar vehicles. Go to a cruise night or car show and ask questions. What car guy doesn’t want to talk about the mods he’s made to his car? Decide whether you need everything to be invisible, or if a little custom work would result in better sound from your system. While these are harder to quantify, determine your goals and expectations for the system. If you want to sit in the driver’s seat and be able to hear Bruce Springsteen’s voice coming from the middle of the windshield, with his band spread evenly to the left and right, like you were sitting center-stage at a concert, then let your installer know. If you just need some music for a short cruise, that’s entirely achievable. If rocking out to Def Leppard and concert-like volumes are your speed, let ’em know. How an audio system is designed is based on the goals for the system. A single set of speakers on the rear deck is only going to work for one of these examples. If that is your choice for the other two, you will be disappointed. 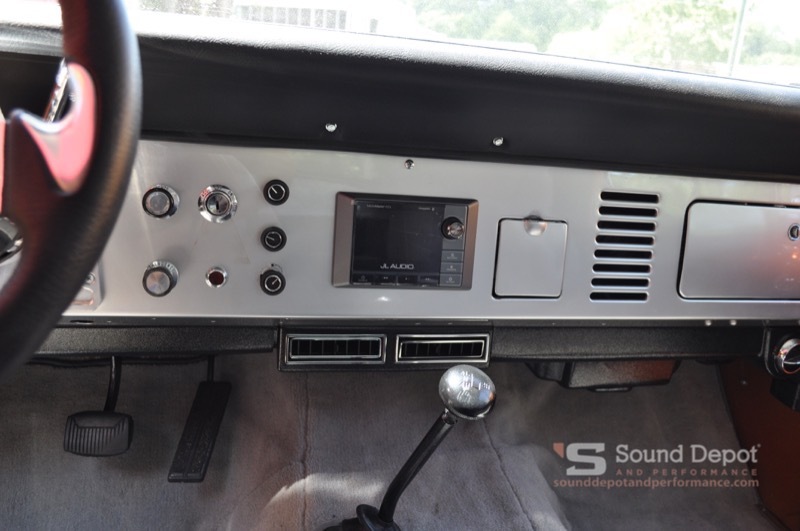 Sound Depot and Performance integrated a JL Audio Media system in the dash of this classic Bronco. When it comes to source units, there are countless options. 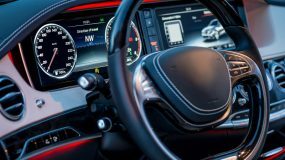 If keeping the vehicle looking absolutely 100% original is the name of the game, then there’s no way you are going to put a modern double-DIN multimedia receiver in the dash or a custom center console. That doesn’t mean you can’t still have great sound. One option is to mount a radio under the seat or in the glove box. Most radios can be controlled by a remote control, and some have smartphone control options. Launch an app on your phone, and that becomes the face of your radio. Pick a station, adjust the volume or select your favorite tunes from a USB memory stick. If you don’t want anything visible anywhere, that’s not a problem. Your installer can mount a Bluetooth receiver in the dash with a tiny amplifier. The Bluetooth receiver becomes your source unit. You play music from your phone. The phone volume becomes the system volume. It’s pretty easy to use and completely invisible. If you have headed down the path of a custom project, then working with your fabricator to integrate a modern head unit in the dash or center console is a great idea. You can go with something simple like a CD receiver, or step up to a multimedia receiver with Apple CarPlay and Android Auto. 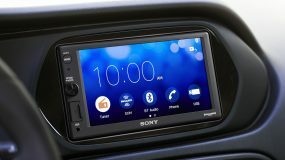 If you are going to be hitting the road, these smartphone integration solutions let you listen to incoming text messages and dictate responses, make phone calls, choose the music you want to listen to and provide turn-by-turn navigation, all by simply talking to the radio. For a slightly less-conspicuous look, many people choose a marine radio and marine remote control as their source unit. You can hide the radio in the trunk or under a seat, and then control the unit from a wired remote control. These remotes often have LCD displays to let you know what’s playing, and include controls for volume, source selection and track adjustments. Most are sized similarly to standard 3-inch gauges like a tachometer or speedo. 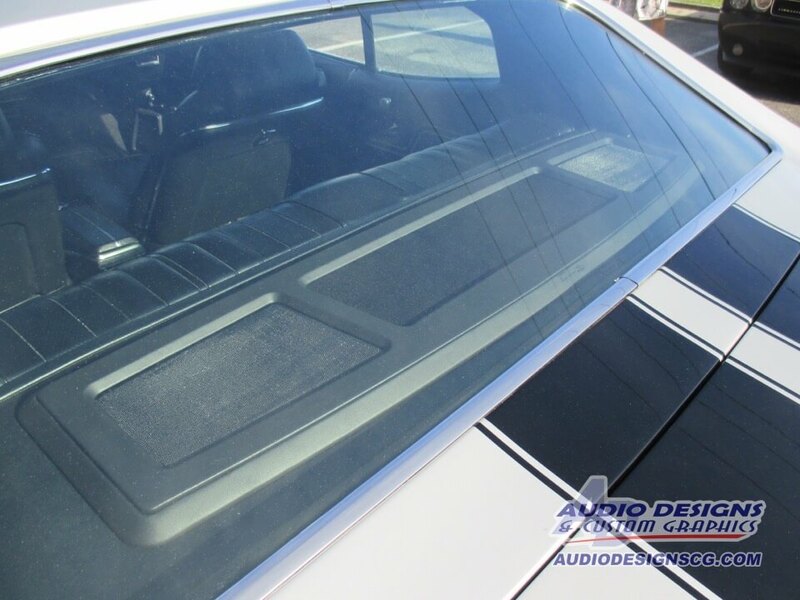 This custom rear deck grille by Audio Designs looks right at home on the deck of this Chevelle. 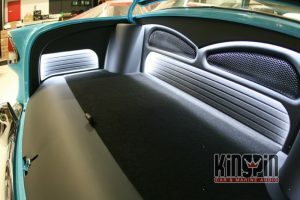 If you are a regular reader of BestCarAudio.com, then you will know that speakers are crucial to the overall performance and quality of any sound system. You can invest thousands of dollars in a head unit, amplifiers and signal processors, but if you don’t have great speakers, you won’t have great sound. Speakers are the only link between your equipment and your ears. Just as with source units, the size of speakers you have installed and their location is going to depend on the style of your classic car. If you have a 32 Ford Model A Roadster, there aren’t going to be speaker locations in the dash to work with. Here are a few options to ensure your system sounds great. Another option is to replace a factory panel with a custom piece. Let’s say you have a ’79 Corvette. Replace those factory kick panels with a set of custom panels and install a set of coaxial speakers in there. Your installer can finish the panels in a vinyl or leather that matches the factory pattern and ensure that the color looks just right with the rest of your interior. You can keep the factory panels in safekeeping in the event you need to return the car to stock condition. No, a blown 500 cubic inch engine is not part of the stereo upgrade recipe (but please don’t let us stop you if that’s part of the plan). We are talking stereo system power. To reproduce music, you need to deliver power to your speakers. If you want to listen at higher volume levels, you need more power. 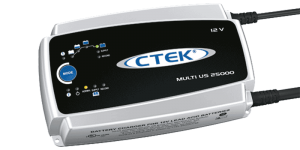 Most radios on the market offer between 18 and 20 watts of real, usable power. 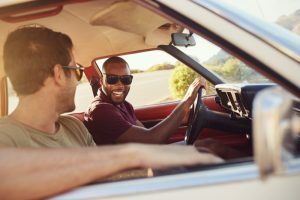 If you have a big motor or loud exhaust, or happen to be in a convertible, the radio alone won’t be enough to make your music audible when you’re cruising the Interstate. Adding a quality amplifier to your system doesn’t just let you turn the volume up; it makes your music sound better at low to moderate volumes. That little bit of extra control is like having the torque of a big block behind your speakers. Your music will have more impact and sound more dynamic. 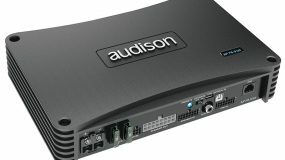 High-quality amplifiers start in sizes around that of a small brick. That’s right: Something as small as 9 by 3 by 2 inches can provide 50 watts per channel to four speakers without even breaking a sweat. These modern amps will fit up in your dash, under a seat, in a center console or under the rear deck without altering the functionality of your vehicle by taking up all sorts of space. Cars that aren’t regularly driven can benefit from smart charging solutions. Your audio system works the same way as your engine does: If you want to make more power, you need to deliver more fuel. This might mean larger fuel lines and an upgraded pump if you are the kind of person who likes to have “a little more than stock.” If you install an amplifier in your car, then you have to be sure it is wired correctly. High-quality copper power wire is a must. Forget that cheap aluminum stuff – you don’t want any hassles. All connections have be electrically and mechanically secure to ensure proper power delivery. If you decide to go with a large amp, or have added a subwoofer (we’ll get to that next), then proper power delivery is crucial to ensuring your amplifiers will perform. 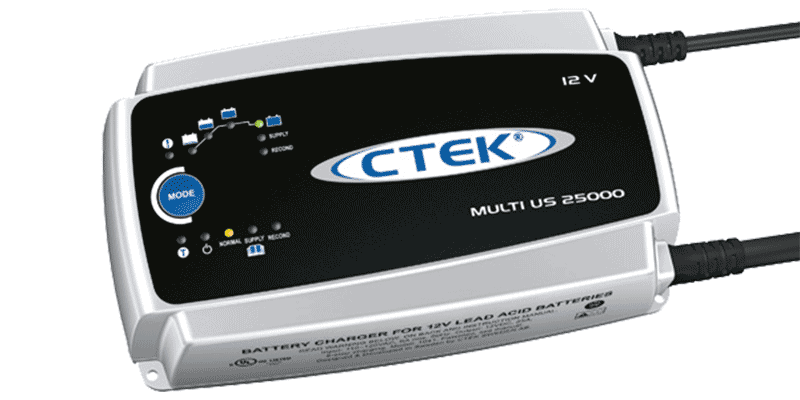 Your battery and alternator have to be up to the task as well. If you have a ’74 Beetle with a 50 amp alternator, you won’t be installing a 1,000 watt stereo and listening to it at full volume. Likewise, make sure that battery is in tip-top shape. If you don’t drive the car during the week, invest in a high-quality battery maintenance solution. Keeping that battery topped up will make it last a lot longer and ensure your car is ready to go when you are. Kingpin did a great job designing this trunk to hold subwoofers and amplifiers. We are back to the discussion of what works for your vehicle. If you are headed to Pebble Beach, you may be reading the wrong article. If you are headed to a cruise night, then warming up the sound of your stereo system with a subwoofer is a very good idea. Forget the stereotype of kids driving down the street with their rap music blaring and body panels vibrating. Adding a subwoofer accomplishes two important tasks in terms of improving the performance of your sound system. Subwoofers are specifically designed to reproduce the bottom two octaves of the music we listen to – that’s 20 to 40 Hz and 40 to 80 Hz. To reproduce these frequencies accurately, a speaker has to move a lot of air. A small 6.5-inch coaxial mounted in your doors isn’t going to produce a 35 Hz sound with any authority or detail. Adding a sub will add these frequencies to your sound system. Drums, bass guitar, a stand-up bass or a kettle drum with have warmth and impact. A subwoofer doesn’t have to rattle your teeth. The second task a subwoofer accomplishes is to relieve the rest of your speakers from trying to reproduce bass frequencies. If your sub can play up to 80 Hz, then your door or rear deck speakers only has to play down to 80 Hz. Your smaller speakers will sound much better and be able to play those sounds above 80 Hz with more output and detail. Your entire stereo will sound better. 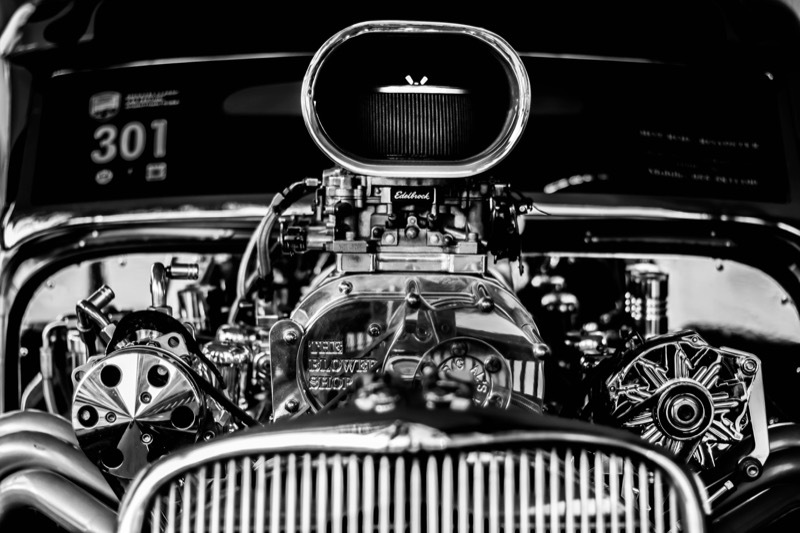 When you look for someone to work on a classic car (or any car, for that matter), you are trusting them to use their skills and experience to accomplish a task for you. In the same way that it can be hard to find a great mechanic, it takes research to find a great installer. Read reviews, look at examples of their work and talk to other classic car owners. There are some truly amazing installers in the mobile enhancement industry. Once you find one who “gets it,” stick with them. Don’t grind and haggle over a few bucks. Ensure the job is done right, with quality materials, excellent workmanship and extraordinary attention to detail. 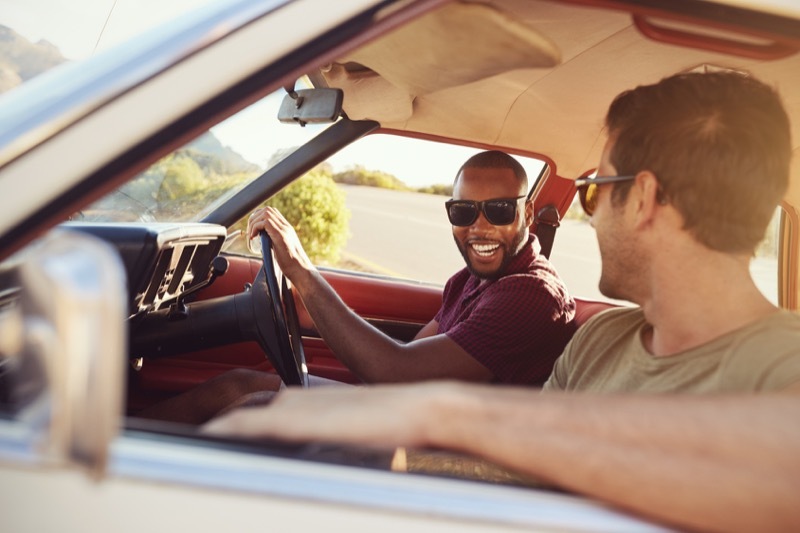 Whether you are taking a drive across town to visit a friend or want to join the Hot Rod Power Tour next year, having music along with you can make the trip a lot more enjoyable. Do some research, ask some questions and listen to as many car audio systems as you can. 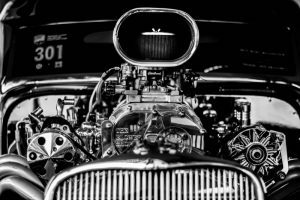 There is a solution for your classic car audio; it’s just a matter of working with the right retailer to find one that fits.